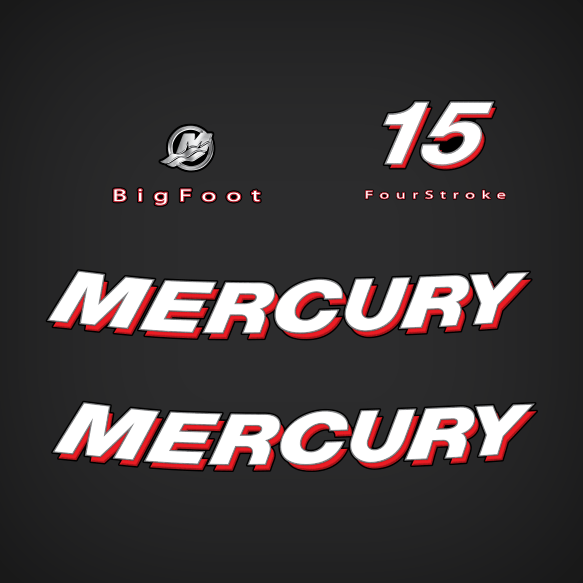 Mercury decal Set replica made for 2006 4-Stroke Mercury Outboard motor. M Logo Round Decal - Front Side. 15 hp Decal - Rear Side. FourStroke Decal - Rear Side.